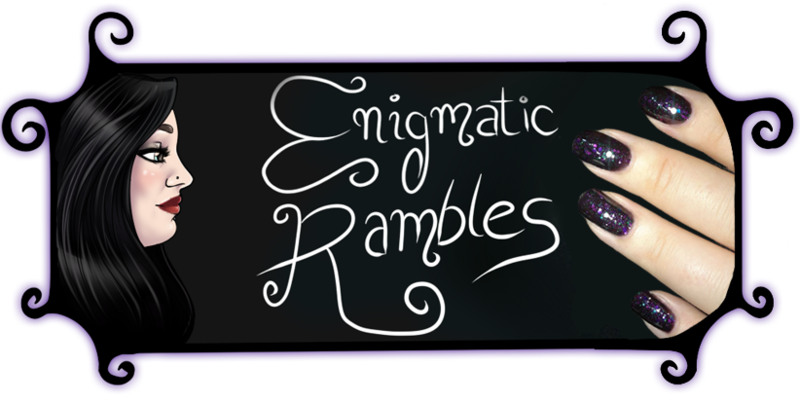 Not typically something I would review on the blog, however as a person with a 99.9% black wardrobe I thought it would be good to review something I was using. 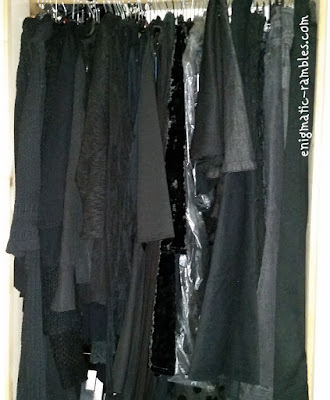 As you can see my wardrobe is over full and all black, I had a denim coat which was a faded out grey colour, wearing something so light made me feel very self conscious and so that is why I wanted to dye it because it hadn't worn out and now fits me. 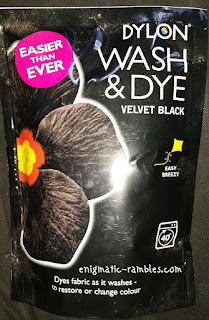 I have used Dylon dyes before to dye things black, but that involved measuring out exact amounts of salt to go in the washing machine along with the packet of dye. This is so much easier, all you need is the pack. 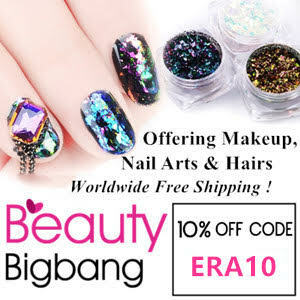 The pack says it dyes 500g the full shade and 1kg a lighter shade. 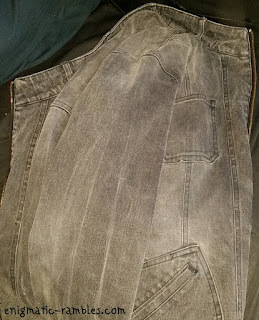 I didn't weigh my jacket but the packet did say it would dye one pair of jeans to the full shade, which I had hoped would be about the same amount of denim as this jacket. The dye did cover the coat and it worked well. 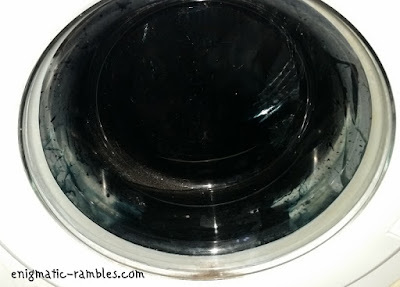 To use it you put the clothes and the powder in to the washing machine drum, and set it away on a 40c wash. Then run another wash to wash the clothes out of extra dry and clean the machine. 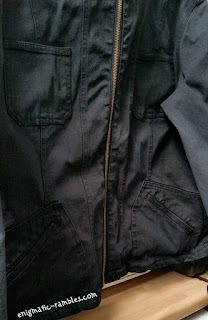 So as you can see this 350g pack of dye did manage to dye the jacket. 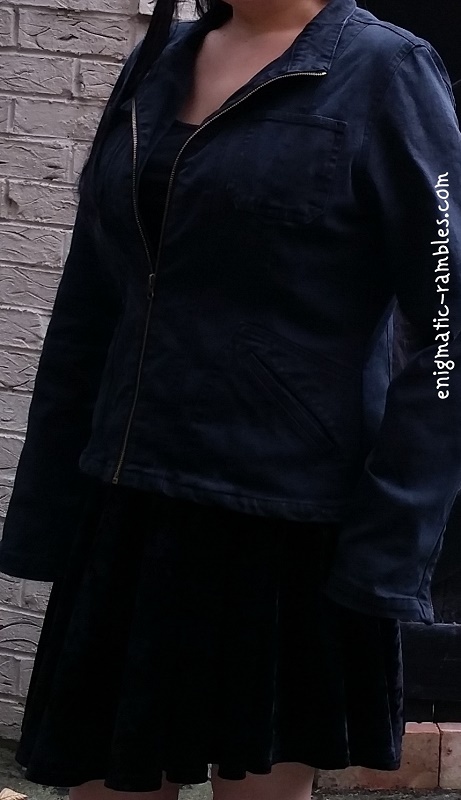 I wouldn't describe the colour as a pitch black, I have shown me wearing the jacket and along with it a pitch black velvet skirt to compare the colours. 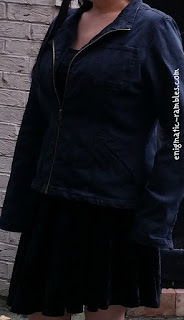 However it dyed the jacket evenly and definitely dyed it dark enough for me to be able to wear.